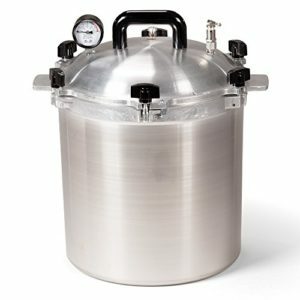 This is a Large capacity heavy duty pressure cooker. 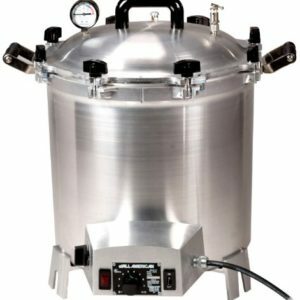 Manufacture from cast aluminum, with heady duty screws in the lid seal, this pressure cooker uses a metal-to-metal seal so no expensive replacement seal will ever be required. 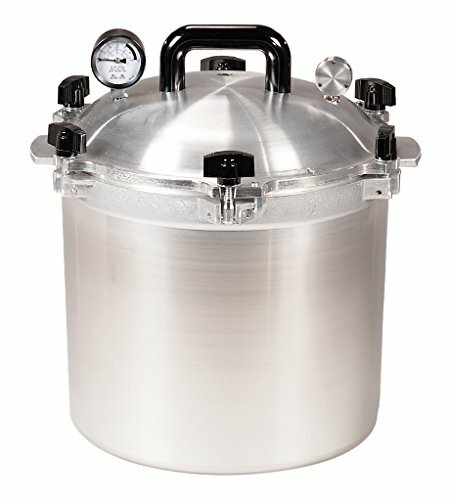 Its 20.3 Litre capacity holds seven quart sized jars or nineteen pint sized jars. 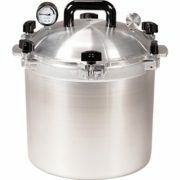 Comes with a pressure regulating valve and pressure gauge. No expensive gaskets to replace- “metal-to-metal” seal.